The triangle, square, pentagon & dodecagon have 120 hexagonal yods. They comprise 24 dark red hexagonal yods at the centres of 24 tetractyses and 96 blue hexagonal yods on their sides. 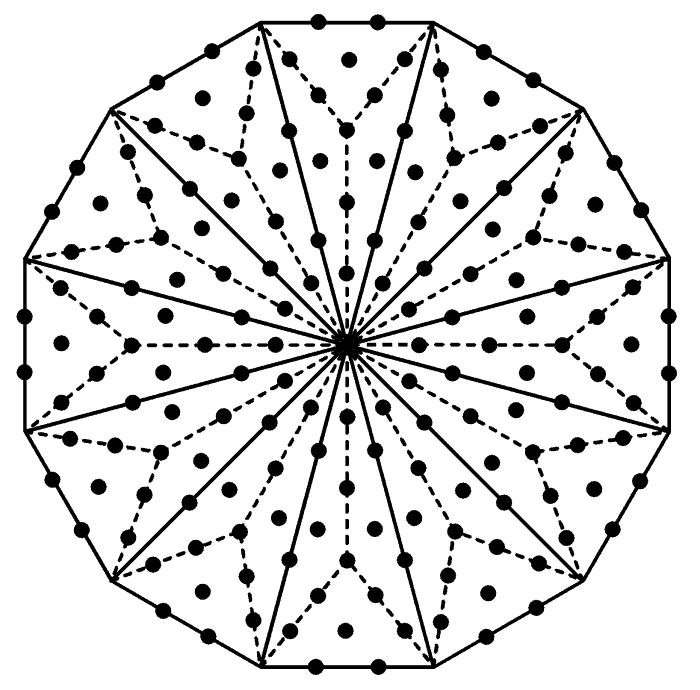 The former correspond to the 24 vertices of the 24-cell and the latter correspond to its 96 edges. The hexagon, octagon & decagon have 120 hexagonal yods. They comprise 24 light red hexagonal yods at centres of tetractyses and 96 green hexagonal yods on their sides. The former correspond to the 24 octahedral cells in the 24-cell and the latter correspond to its 96 triangular faces. The 120 hexagonal yods either at their centres or on their edges comprise (12+12=24) in the tetrahedron and (24+24+24+24=96) in the octahedron & cube (indicated in the red cells); the 120 hexagonal yods lining interior sides of tetractyses in their faces comprise 24 in the tetrahedron and (48+48=96) in the octahedron & cube (shown in the blue cells). It cannot be accidental that there is such repetition of this pattern in objects like the inner Tree of Life, the dodecagon and the Platonic solids — objects which have been previously established as possessing sacred geometry because they exhibit its defining parameters and display the same patterns that relate them. Rather, its re-occurrence in the 24-cell points towards the holistic character of this polychoron and confirms its connection to both superstring physics and the structure of the UPA. 96 = 120 − 24 = 11 + 13 + 15 + 17 + 19 + 21. 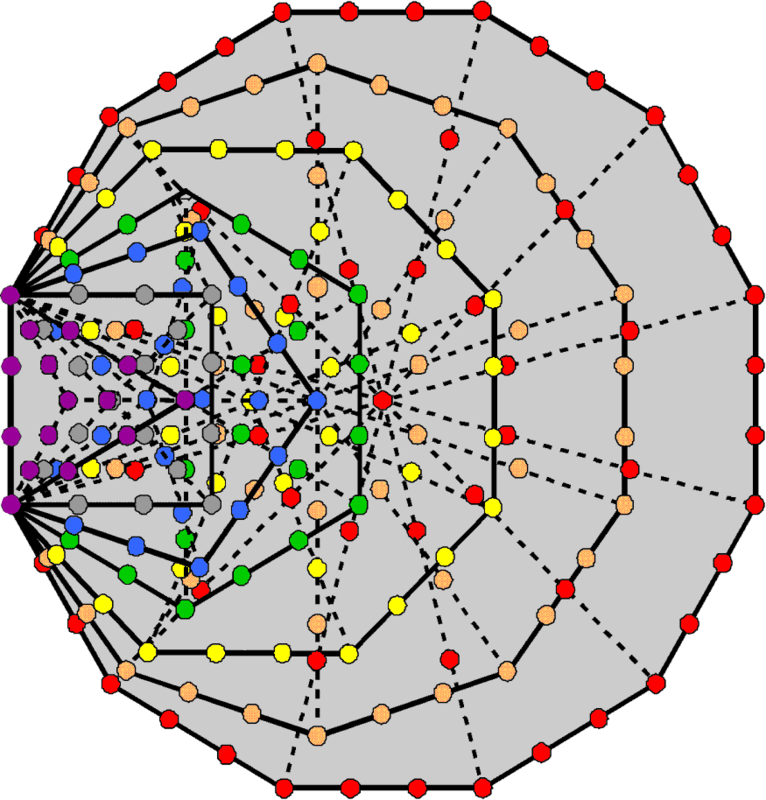 The 24 vertices (or octahedral cells) and 96 edges (or triangles) possessed by the 24-cell follows the arithmetic pattern of the first four and the last six odd integers in the first 10 odd integers! This 4:6 division parallels the prediction by superstring theory that space-time has 10 dimensions, of which four form the large-scale Minkowski space-time continuum and six are compactified. 16800 turns in 10 whorls ≡ 240 E8 gauge charges × 10 space-time components of E8 gauge field ×7. 7 turns ≡ space-time component of E8 gauge field. It indicates that, indeed, sections of seven turns — to whatever order of spirilla they belong — do represent physically significant things, in this case (if the above interpretation is correct) the space-time component of a gauge field of E8. The question that needs answering is why the 168 helical turns in each half-revolution of a whorl are the string manifestation of 24 E8 gauge charges. It is like the question: why are there 24 hours in a day and a week of seven days with 168 hours? Is the re-appearance of these numbers no more than a coincidence? Or are they a reflection of the existence of a fundamental cosmic cycle that happened to be reproduced in ancient times when, firstly, the ancient Egyptians used the practice in the earlier Sumerian culture of counting with their thumb against the three knuckles of the other four fingers to divide the day (and then the night) into 12 parts that only became equal in ancient Greece under the influence of its great astronomer Hipparchus and, secondly, the creation myths of Judaism and ancient Babylonian religions gave rise to a seven-day week based upon seven stages of creation? If the UPA exists as 10 whorls because superstring space-time is 10-dimensional, then its three major whorls bear a formal correspondence to the three large-scale dimensions and its seven minor whorls correspond to the six compactified dimensions and the dimension of time, so that the breakdown in the unified symmetry of E8 arising from the difference of scale between these two classes of dimensions led to a difference between three whorls that generate the three components of the gauge fields in large-scale space and the remaining seven whorls. This is what Leadbeater noticed in the UPA, for three whorls, which he called "major," were thicker than the seven other "minor" ones (see here for the reason for this difference). The difference, of course, in Kabbalistic terms is that between the Supernal Triad of Kether, Chokmah & Binah and the seven Sephiroth of Construction. In Pythagorean terms, it is the difference between the yods at the three corners of the tetractys and its seven hexagonal yods (see here). 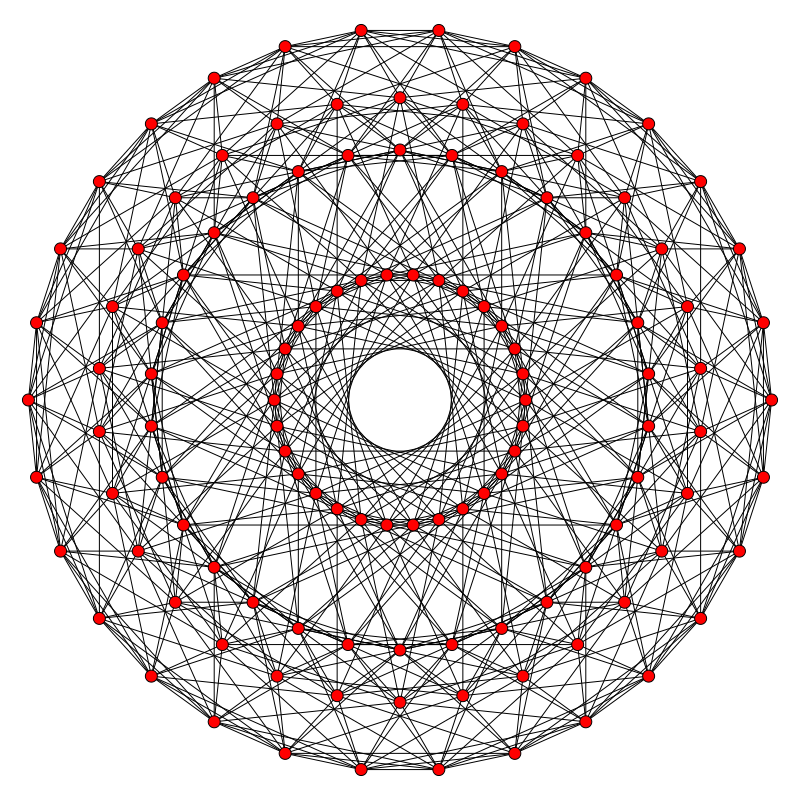 The Petrie polygon of the 24-cell is the dodecagon, which is the last of the seven regular polygons making up the inner Tree of Life. 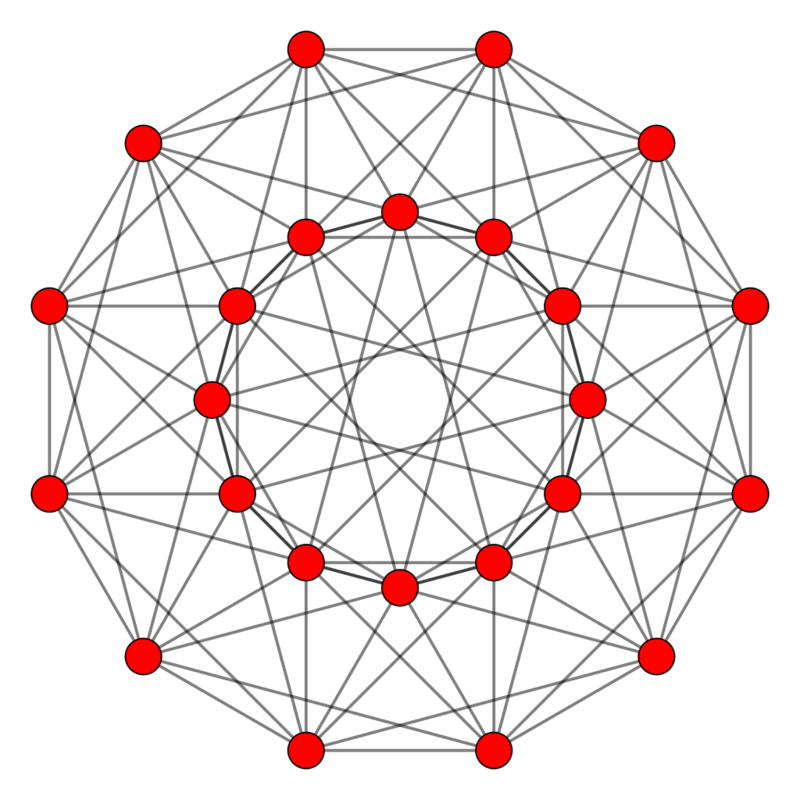 The Petrie polygon of the 600-cell, a compound of five 24-cells, is the regular 30-gon, as is the Petrie polygon of the 421 polytope because it is a compound of two concentric 600-cells of different size but with the same orientation. As 30/12 = 2½, the factor of 5 between the 120 vertices of the 600-cell and the 24 vertices of the 24-cell manifests in the repetition of the outermost two circular rows of 30 vertices in the Petrie polygon of the former. 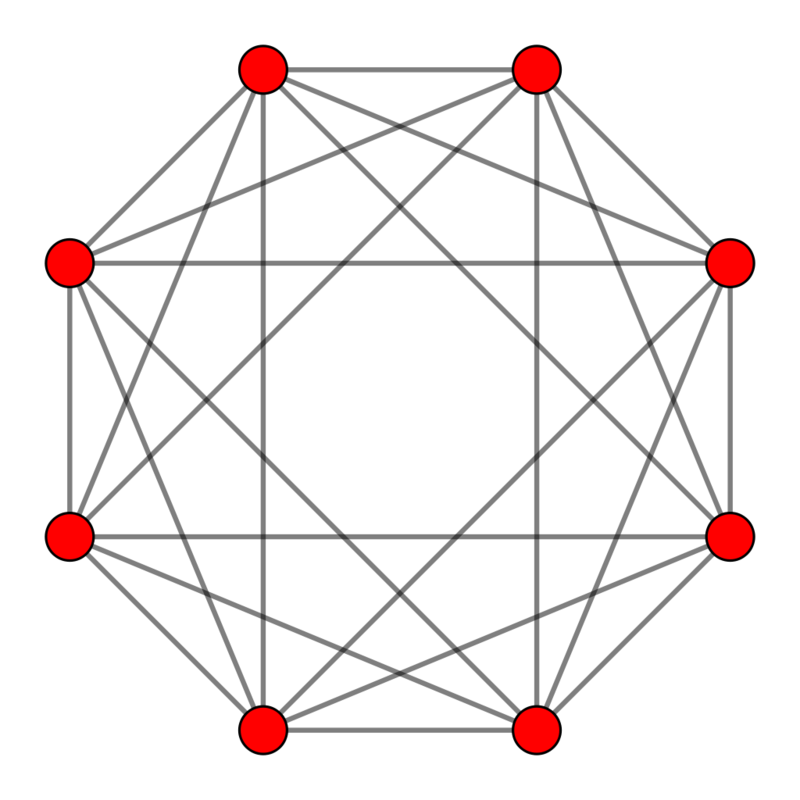 The factor of 10 between the 24 vertices of the 24-cell and the 240 vertices of the 421 polytope arises from the repetition of the four outermost circular rows of 30 vertices in the four innermost circles. 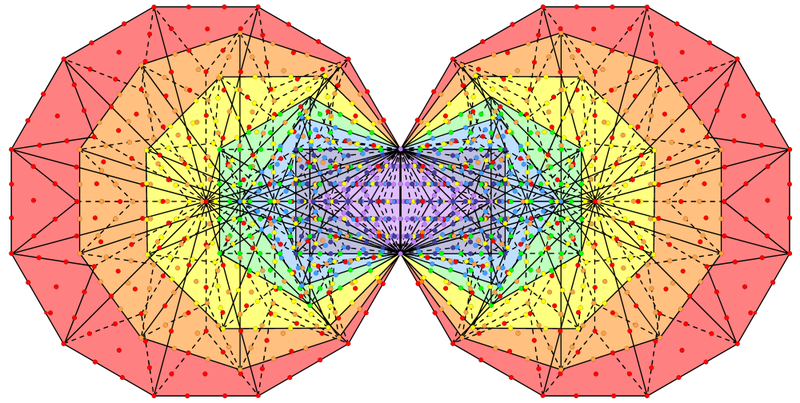 Remarkably, comparison of the Petrie polygons of the 24-cell and the 421 polytope reveals the same ×10 and ×2½ factors as those manifesting in the UPA, namely, the 10 half-revolutions of its whorls (or the 10 whorls) and the 2½ revolutions in its inner or outer halves. For the unbelieving sceptic, this has to be dismissed as just another coincidence, along with the (840+840=1680) vertices & edges of the two 600-cells, whose embodiment of the structural parameter 1680 can be for such a person no more than the product of chance. 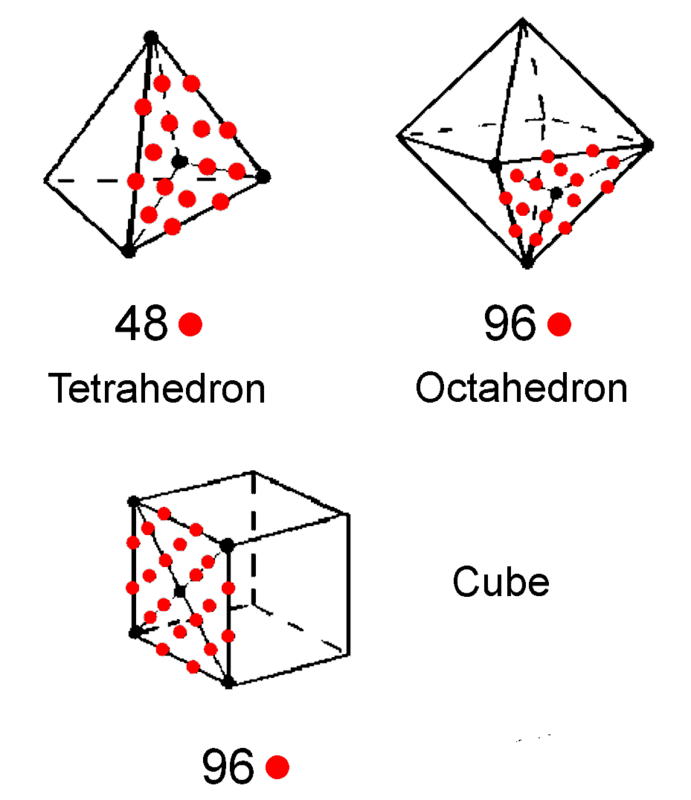 However, for those who do not believe in miracles, the presence of the factors 2½, 5 & 10 in the Petrie polygon of the 600-cell makes the embodiment in its geometry of the UPA structural parameter 840 all the more significant, providing yet more compelling evidence that this particle remote-viewed over a century ago is the E8×E8 heterotic superstring. At the same time, it must be pointed out that the 421 polytope occupies 8-dimensional space, whereas the features of the UPA being compared to it or to its 4-dimensional, Coxeter plane projection pertain to 3-dimensional space. Even though the two spaces are different, it should not be hard to accept that the features that pertain to the space occupied by a polychoron representation of the E8 roots/gauge charges carried by a superstring should also apply to their manifestation in the 4-dimensional cross-section of 10-dimensional space-time. 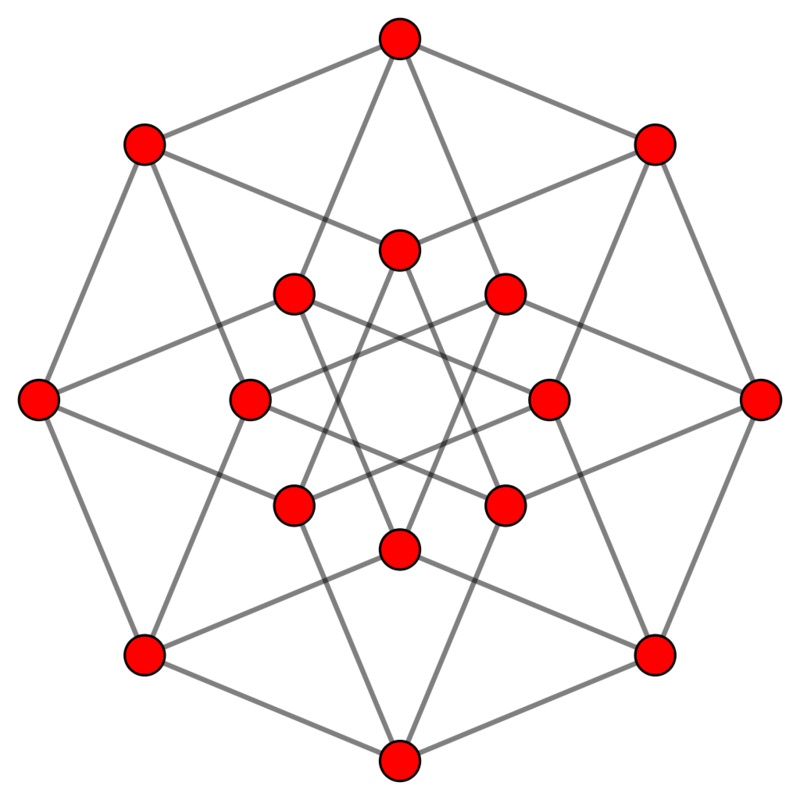 Petrie polygon of the 8-cell. triangles: 3×48 + 3×48 = 288.
the number of geometrical elements generated by dividing into their sectors the faces of the 10 24-cells in the compound of two 600-cells that is the 4-dimensional, Coexter plane projection of the 421 polytope. Given that 672 extra geometrical elements are needed to divide the 96 faces of the 24-cell into their 288 sectors, is it a coincidence that, as shown here, 672 yods are needed to construct the first four Platonic solids from Type A triangles? Why should the 421 polytope, which mathematicians know reproduces the 240 root vectors of the exceptional Lie group E8 present in one of the two heterotic superstring theories, have exactly ten times as many edges as these Platonic solids contain yods when they are constructed from Type A triangles? Why, as pointed out on #2, should the number of yods (13680) lining the edges of the faces of this polytope when they are tetractyses be exactly ten times the number of yods that are intrinsic to the inner form of one Tree of Life with Type B polygons? Why should this number be exactly the number of yods intrinsic to the inner form of ten overlapping Trees of Life? Either miraculous coincidences are in play here or we are witnessing the remarkable appearance in different systems of geometry of the same number simply because all these systems possess sacred geometry characterised by the same parameters (apart from a Pythagorean factor of 10 in some cases). The reader must decide which is the more plausible possibility. When the 96 faces of the 24-cell and the 96 internal triangles formed by its edges are Type A triangles, their (3×96 + 3×96 = 576) triangular sectors have (1+24+96+96=1+216=217) corners, where "1" denotes the centre of the polychoron. 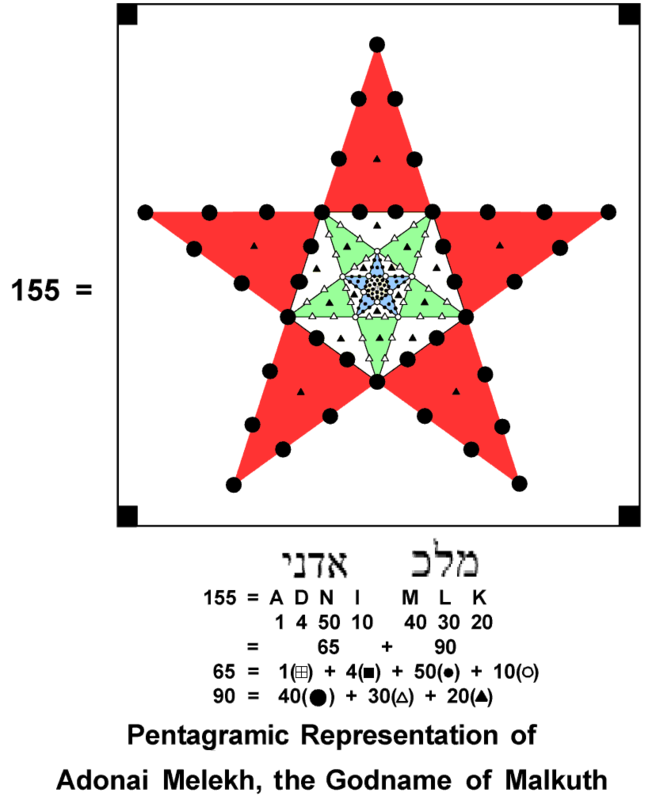 The number 216 of Geburah is the number of corners of triangles that surround the centre of the 24-cell. Compare this with the fact that, of the 264 yods in the seven enfolded Type A polygons with tetractyses as their 47 sectors, (264−47=217) yods line the sides of the tetractyses. Of these, one yod at the topmost corner of the hexagon coincides with the lowest corner of the hexagon enfolded in the next higher Tree, leaving 216 boundary yods that are intrinsic to the set of polygons enfolded in each Tree. The shared corner, which is unique because it also belongs to another set of polygons, corresponds to the centre of the 24-cell and the 216 boundary yods of the sectors of the seven enfolded polygons correspond to the 216 corners of the 576 sectors of the 192 Type A triangles from which the polychoron is constructed. Notice also that (1 + 24×2 = 49) yods line the 24 sides of the 96 internal triangles formed by the edges of the 24-cell, where 49 is the number of EL CHAI, the Godname of Yesod, and that (24 + 2×96 = 216) yods line the edges of the 24-cell — just as they do for the sectors of the seven enfolded polygons. This correspondence is further evidence that the 24-cell conforms to the holistic pattern of the inner Tree of Life. Lining the 88 sides of the 47 tetractys sectors of the 7 enfolded polygons are 216 yods, excluding the topmost corner of the hexagon that is shared with the hexagon enfolded in the next higher Tree of Life. This is the number of yods on the 96 edges of the 24-cell when its faces are tetractyses. 2160 yods line the 880 sides of the 470 tetractys sectors of the 70 polygons enfolded in 10 Trees of Life. This is the number of yods on the edges of the 10 disjoint 24-cells making up the compound of two 600-cells. A 24-cell is to a 600-cell what a single Tree of Life is to 10 Trees representing its 10 Sephiroth. It indicates that the two centre-sharing 600-cells are the 4-dimensional counterparts of the two sets of five Sephiroth — or, rather, the two sets of five Trees of Life that represent them. Each half of the 24-cell has 216 hexagonal yods, where 216 is the number of Geburah. There are 457 yods, of which 24 are vertices, leaving 433 generated by the transformation of the faces into tetractyses. 433 is the 84th prime number, where 84 = 12 + 32 + 52 + 72. 216 corners surround the centre when the faces are Type A triangles. 97 of these are internal, where 97 is the number value of Haniel, the Archangel of Netzach. The five disjoint 24-cells in the 600-cell have (1 + 5×216 = 1081) corners, where 1081 is the number value of Tiphareth ("Beauty"). Including its centre, there are 1081 yods other than vertices in either half of the 24-cell with Type A triangles as its faces. When the faces are Type B triangles, they have 384 corners that are not vertices, 192 in each half. The number 384 and its 192:192 division are characteristic of sacred geometries (see The holistic pattern). There are 385 corners inside the 24-cell, where 385 = 12 + 22 + 32 + 42 + 52 + 62 + 72 + 82 + 92 + 102. There are 3360 hexagonal yods in the 96 Type B faces. This means that the 600-cell contains (5×3360=16800) hexagonal yods when its five 24-cells have Type B triangles as their 480 faces. The compound of two 600-cells that is the 4-dimensional projection of the 421 polytope defining E8 has 10 24-cells with 33600 hexagonal yods in their 960 faces. This is the amazing way in which the superstring structural parameters 3360 and 16800 are embodied in the 24-cell and 600-cell, themselves holistic entities like the whorl and UPA. Their appearance is so unambiguous that it can leave no doubt that the UPA is, indeed, an E8×E8 heterotic superstring, for its 16800 circularly polarised waves (the circular 1st-order spirillae in its 10 whorls) can be resolved into 33600 plane wave components, each pair of perpendicular plane waves differing in phase by 90°. Each hexagonal yod denotes such a plane wave, confirming our earlier conclusion that the 120 vertices in each 600-cell denote the 120 E8 gauge charges spread along either the outer or the inner half of the UPA. The 1680 turns in each half-revolution of its 10 whorls comprise 3360 plane waves, each denoted by a hexagonal yod in a 24-cell, the five half-revolutions of the outer half of the UPA being generated by the five 24-cells in one 600-cell and the five half-revolutions of its inner half being generated by the five 24-cells in the other concentric 600-cell. In other words, each of the 10 24-cells in the compound of two 600-cells represents a half-revolution of the 10 whorls of the UPA, its 24 vertices signifying the 24 E8 gauge charges that are spread along the length of a half-revolution. The number 216 of Geburah is the number of corners, sides & triangles in the 96 faces of the 24-cell when its faces are not divided into sectors. The number of internal geometrical elements surrounding its centre = 120 = 22 + 42 + 62 + 82 = 3 + 5 + 7 + 9 + 11 + 13 + 15 + 17 + 19 + 21, i.e., the sum of the squares of the first four even integers and the sum of the first ten odd integers after 1. This is also the total number of sides. The total number of geometrical elements surrounding the centre = 336 = 42 + 43 + 44 = 22 + 62 + 102 + 142. This is a superstring structural parameter, being the number of turns in one revolution of a whorl of the UPA, as well as a structural parameter of sacred geometries discussed many times in this website. It is a highly significant result because it means that the compound of five 24-cells generating the vertices of a 600-cell has (5×336=1680) geometrical elements in them surrounding its centre. This corresponds to the 1680 turns in the five revolutions of a helical whorl of the UPA. The compound of two 600-cells that is the 4-dimensional projection of the 421 polytope has 3360 geometrical elements belonging to 10 24-cells that surround their common centre. This corresponds to the 3360 plane waves making up each whorl. Alternatively, they correspond to the 3360 turns in one revolution of all 10 whorls. The 480 faces of each set of five 24-cells comprise (5×216=1080) geometrical elements that surround their common centre, making a total of 1081 geometrical elements. This is the number of Tiphareth ("Beauty"). The number 384 characterising holistic systems (see The holistic pattern) is the number of sides in the 288 sectors of the faces of the 24-cell when they are Type A triangles. It is also the number of corners & triangles created by turning each face into a Type A triangle. 216 corners of (576=242) triangles surround its centre. The 24-cell with Type B triangles has 384 corners in its faces other than vertices; it has 385 internal corners, where 385 = 12 + 22 + 32 + 42 + 52 + 62 + 72 + 82 + 92 + 102. Amusingly, it has 2424 sides of 1728 triangles with 792 corners surrounding its centre, where 792 = 33×24 = (1!+2!+3!+4!)×1×2×3×4. Surrounding its centre are 4944 geometrical elements, where 4944 = 24×206. Again, amusingly, 206 is the number of bones in the adult human skeleton! The 24-cell has 2520 geometrical elements in its faces. This is the number of turns in either the inner or outer halves of the three major whorls of the UPA: 3×840 = 2520. As 5040 = 7! and 2520 = 5040/2 = 7!/2, where 7! is the number of permutations of seven objects, the number 2520 is the number of permutations of seven objects that exclude the remaining 2520 permutations that are their mirror images. The faces of the 24-cell have (2520−120=2400) geometrical elements other than vertices & edges, where 2400 = (13+23+33+43)×1×2×3×4 =10×240. Compare this property with the fact that 240 geometrical elements surround the centre of the Sri Yantra (see here) and with how this parameter is embodied in other holistic systems (see here). 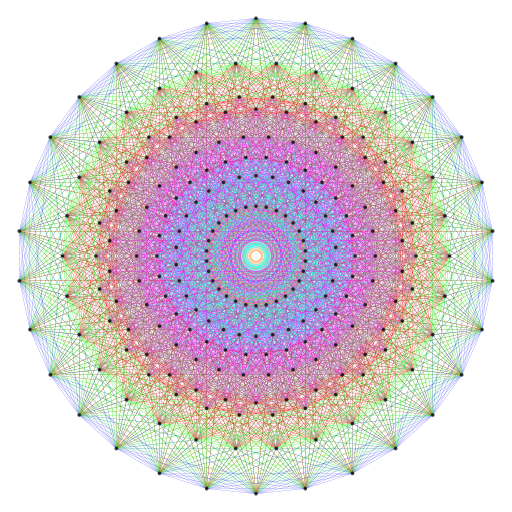 According to superstring theory, the number 2400 is the number of space-time components of the 240 10-dimensional gauge fields associated with the 240 roots of the exceptional Lie group E8. The embodiment of the number 240 in the geometrical composition of the 24-cell (namely, 240 geometrical elements when faces are triangles and 240×10 geometrical elements other than vertices & edges when faces are Type A) is yet more evidence of the holistic nature of the 24-cell. The geometrical and yod compositions of the 24-cell, therefore, reveal that, as the Coxeter plane projection of the 240 vertices of the 421 polytope, the compound of two 600-cells contains all the structural parameters of the UPA. It can leave no doubt whatsoever that the particle that Annie Besant & C.W. Leadbeater claimed to have remote-viewed over a century ago is a state of the E8×E8 heterotic superstring.